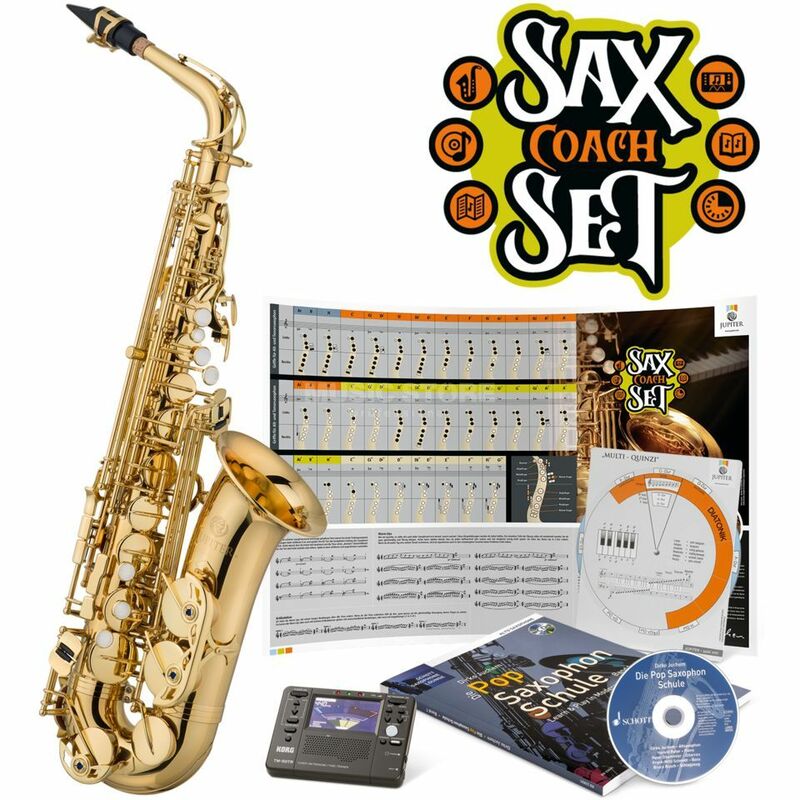 The Jupiter JAS700Q Sax Coach Set is a set for learning to play the saxophone. It contains the Alto Saxophone Jupiter JAS700QA saxophone school by Dirko Juchem with Play-Along-CD, a Korg tuner with voice analysis and a "Multi-Quinzi" (Multifunctional circle of fifths with clearly arranged representations of major and minor keys and much more). The set also includes a poster with all the important fingerings and playing exercises for the saxophone.